Clinical trials show that lutein for the eyes increases the carotenoid levels in the macular pigment. This carotenoid (a type of antioxidant) gives vegetables like carrots and peppers their orange color. 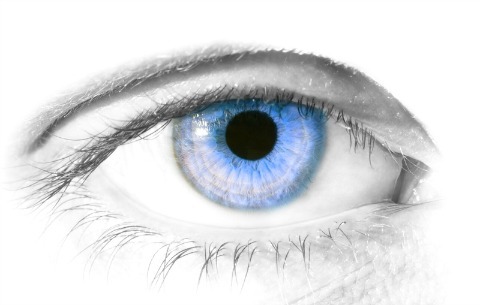 The macular pigment is known to provide protection against macular degeneration and cataracts. Lutein is the main carotenoid in the peripheral retina making up 67% or greater while zeaxanthin is the main carotenoid in the central macula making up to 75% of the MP. 2) the retina, especially the macula. Also known as the macula lutea, which means yellow spot in Latin. It is located in the center of the retina and is responsible for our detailed, sharp vision and our straight ahead or central vision. Zeaxanthin with lutein are powerful antioxidants that protect our eyes from the damages of free radicals. Free radicals play a significant role in the development of cataracts and macular degeneration. Increasing the concentration of these pigments in the eye may help prevent age-related macular degeneration. There are several studies showing the relationship of this pigment to the development or progression of macular degeneration. Researchers said the two pigments act as "sunglasses" and appear to filter short-wavelength light that can damage the eye's retina. Dr. Steven Pratt, ophthalmologist and author of SuperFoods Rx: Fourteen Foods That Will Change Your Life also had a mother with macular degeneration. 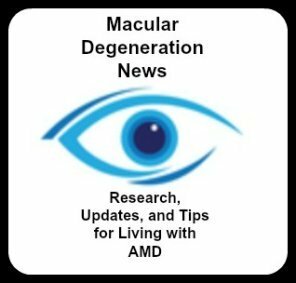 He writes: "The good news is that nutrition can play an important role in preventing AMD. Among the carotenoids, lutein and zeaxanthin are most strongly associated with a decreased risk for AMD." The Eye Disease Case Control Study looked at 421 cases of wet AMD and 615 matched control cases. The study concluded that "Carotenoid levels in the blood were much lower in patients with macular degeneration." "Increasing the consumption of foods rich in certain carotenoids, in particular dark green, leafy vegetables, may decrease the risk of developing advanced or exudative AMD." Lutein for the eyes benefits the macular pigment by increasing the density of the macular pigment and may help with cataract prevention. An increase MP can be important to reduce light induced oxidative retinal damage. Lutein and zeaxanthin dietary supplements raise macular pigment density and serum concentrations of these carotenoids in humans. Oxidation plays a role in the development of cataracts, or the clouding of the lens. Antioxidants are known to protect our cells from the damage that they cause. Lutein is found in the lens of our eyes. Here is the conclusion of a study that was reported on in January 2008. "higher dietary intakes of lutein/zeaxanthin and vitamin E from food and supplements were associated with significantly decreased risks of cataract." Lutein for the eyes can be obtained from foods high in lutein like spinach, egg yolks, squash and carrots. Because lutein is a fat soluble antioxidant, it is important to include some healthy fat, like olive oil when eating your vegetables. Try to include a lutein rich food everyday. 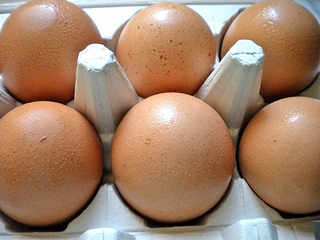 We keep organic spinach, eggs and orange peppers in our fridge and incorporate them into our meals. There are recommendations for adequate lutein dosage. Be sure to read the label to see how much is included in each dose. It is usually listed in milligrams – mg – though some products list it in micrograms – mcg. One microgram equals one-thousandth of a milligram. "Increasing doses of lutein supplements significantly increased the serum levels of lutein and zeaxanthin, and doses up to 10 mg were safely administered." The body cannot manufacture it so one must get it through diet or supplementation. It has been shown in several studies that levels of these nutrients can be increased in the eye when taking a supplement or eating foods high in lutein. There are many macular degeneration nutritional supplements, from multivitamins to eye care formulas to products containing this carotenoid as the sole ingredient. If you decide to buy lutein as a supplement, you want to make sure it is of high quality. 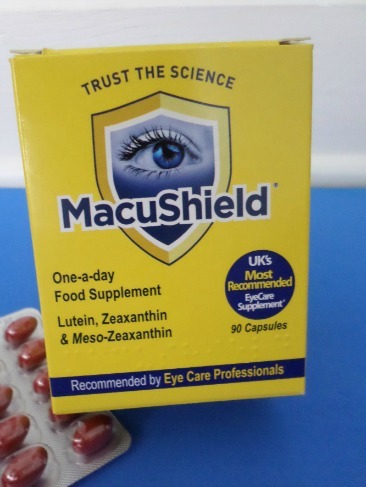 Our favorite formula is Macushield as it contains all three carotenoids of meso-zeaxanthin, lutein and zeaxanthin. One soft-gel daily is the recommended dose. Side effects of lutein are minimal, yet the benefits of this macular degeneration antioxidant are well documented. "Most baby formulas do not contain lutein and zeaxanthin; breast milk does. Another worry is that breast milk may not have enough lutein and zeaxanthin if the mother does not eat enough vegetables and fruits. The purpose of this study is to measure the transfer of lutein and zeaxanthin from the mother to the baby, to measure the amount of lutein and zeaxanthin in breast milk, to find out if taking a lutein supplement will increase the amount of lutein in breast milk." 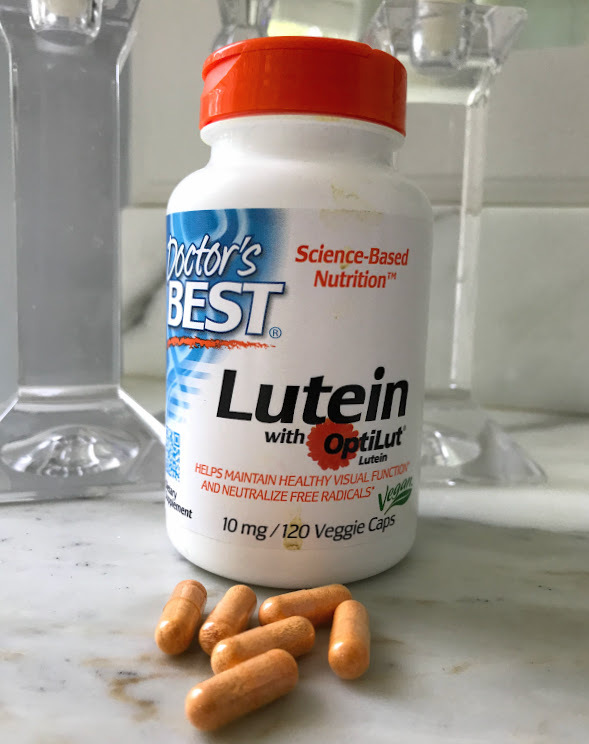 "lutein and zeaxanthin supplements are considered to be safe with possible minor side effects, such as headaches and difficulty in swallowing the tablets." At this time there is no toxic dose that is known to cause harm. However, as a nurse I need to remind you that if a person is on blood thinners or is taking an aspirin a day for their heart, they should consult their doctor before starting any supplement.